That's a lot of room for a comparatively small amount of cash. Space is one of the great mysteries of our time. What will SpaceX find when it goes to Mars? Are black holes gateways to other universes? And how are you supposed to work with a lot of video files with the paltry 256GB of storage space found on a starter MacBook Pro? We can’t help you out with the first two questions, but we’re happy to let you know you can affordably solve the third with B&H’s $170 deal on a WD 8TB My Book USB 3.0 external hard drive. That’s $40 off the $210 it usually sells for, and it’s only $10 higher than the lowest price that we’ve ever seen it at. Best of all, for Mac users, the 6.7-inch-tall device supports macOS High Sierra, Sierra, and El Capitan right out of the box. Most people who’ve already bought one appear to love it, not only for its roomy drive, but for its remarkable ease of setup, its data transfer rates of around 5 Gbps, and especially its price, which is impressive even when it’s not on sale. It’s also backward compatible with USB 2.0. On the whole, users also seem happy with its reliability. It supports automatic backup options, and you’ll even get a free gift with the purchase in the form of your choice between $25 to spend at Shutterfly or an 8x8 photo book from the company. For a drawback, it’s apparently noisy. Online user reviews mention how much of a racket it makes, although most of these comments seemed aimed at convincing people to buy the more expensive SSDs (which have no moving parts). Hopefully it’s a bit of an exaggeration. Problem is, you’re not going to get anywhere near this kind of space on an affordable SSD anytime soon. It also doesn’t come with a USB to USB-C adapter, so you’ll have to get one if you plan on hooking up this spacious device to your MacBook Pro. If you're looking for something a bit more affordable, you should head over to Best Buy's store on eBay, where it's selling a 4TB WD Easystore USB 3.0 portable hard drive for just $80. You'll see it listed for $99.99, but the $20 discount will show up when you enter the code PSPRING20 at checkout. 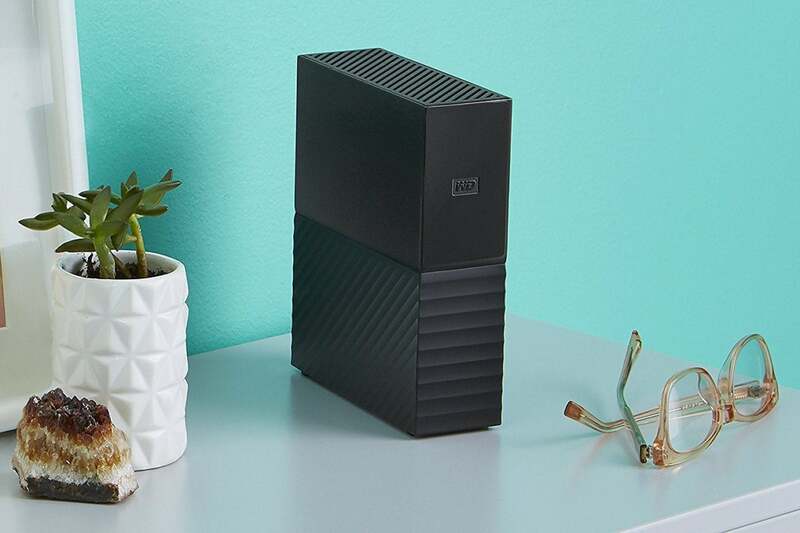 If you need more space, there's also an 8TB WD Easystore drive on sale for $144 if you enter the same code. This sale is only active for today. You'll need to reformat it if you intend to use it for macOS, but it's a great little unit if you're wanting to tote around a bunch of data.